However, this formative experience helped to steel me against the feelings of disappointment that longtime Lauryn fans have become accustomed to over the arc of her two decades as a solo artist. As of this writing, she’s cancelled or postponed several upcoming dates on her Miseducation 20th-Anniversary Tour due to “unforeseen production issues,” and she has a penchant for showing up egregiously late to her shows. However, her erratic concert appearance behavior has done nothing to diminish the importance of what Miseducation has meant to me as a Black gay man. This album was the soundtrack to my entry into adulthood and my embrace of my sexual identity. Her timeless laments about love and loss helped me process my first relationships with men. Her passionate ballads serve as reminders that love is real and possible for me. It would be nearly 15 years before I would have the opportunity to see Lauryn in concert, but in the interim, Miseducation remains an album in my rotation on whatever musical device I own—from the six-CD changers I carted from New Jersey to Providence, Rhode Island, where I was an undergrad, to the first-generation iPods I used to unwind in Durham, North Carolina, where I attended grad school, to the iPhone that catapults me back in time as often as I need when Atlanta’s din and traffic congestion cloud my mind. I’ve kept a copy of Miseducation close at all times. It was released in August 1998, just as I was starting my first year at Brown and was especially pivotal throughout my first semester, the time during which I was starting to embrace my identity as a Black gay man. One thing I loved about this album is that everyone—jock, hippie, activist, nerd, or sorority girl—had it. I would hear “Lost Ones” blasting from someone’s dorm window, and it would be just as likely to be coming from the room of a yuppie from Manhattan’s Upper East Side as it would be from that of a sista from Chicago’s South Side. “Nothing Even Matters” was playing in the background the first time I made out with a guy in his room. We exchanged flirtatious eye contact during orientation, which led to long, late-night chats via AIM (the Grindr/Jack’d o’ the day) and eventually a 2 a.m. tryst in his room when his roommate was away. The song helped calm our 18-year old nerves. “I sometimes have the tendency/to look at you religiously,” D’Angelo crooned, perfectly conveying what I didn’t know how to articulate beyond the longing in my eyes: how badly I wanted to worship the body of this Black Adonis. But, alas, our budding affair was short-lived. Later in the semester, he started to ignore me. It was an inexorable conclusion to whatever was going on between us, given that he was not out yet, and I was. As it would turn out, Lauryn’s warning to straight women to be on the lookout for fuckboys—that “some guys are only about that thing on “Doo Wop (That Thing)”—applied to me as well. And although I didn’t get homesick in college, my hometown pride soared as a group of Black women, led by a choreographer from Englewood, N.J., did an incredible dance at a talent show to “Every Ghetto Every City,” replete with its shout-outs to locales recognizable to me from my own formative years in New Jerusalem. Two of my best friends and their campus a cappella group performed a rendition of “Tell Him” at a concert that still stirs my soul when I recall it nearly 20 years later. It’s hard to identify a single favorite track on Miseducation, but “Everything Is Everything” is definitely in contention. 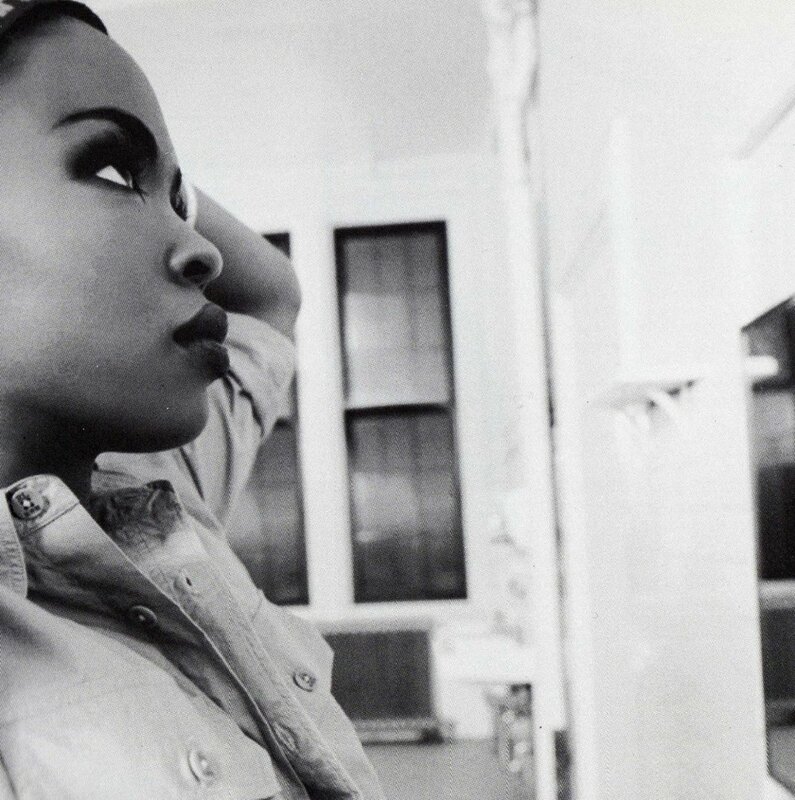 “I wrote these words/ for everyone/who struggles in their youth/who won’t accept deception/instead of what is truth,” Lauryn’s melodic alto belts, and I feel, as much now as then, that she’s giving my testimony, the struggles I have experienced as I’ve learned to embrace my sexuality in all of its wondrous complexities. The lyric “Let’s love ourselves/ and we can’t fail/to make a better situation” remains a reminder that loving all of myself, including the gay parts, is integral to my well-being. We as Black men must find ways to reinforce this message daily, particularly in today’s toxic political climate with so many threats to our rights to love without limits looming. I hope Lauryn’s right that “change comes eventually” in this regard. While Miseducation was an important part of my own formative years, part of Lauryn’s genius is that the lessons from the album are as relevant in 2018 as they were in 1998. I am far from alone in thinking that this album will be one that we continue to cherish and listen to well into the future. Justin C. Smith is a scholar and activist whose work explores the social determinants of HIV infection among Black gay and bisexual men in the South. Justin earned a bachelor’s degree in Sociology from Brown University, a master’s degree in Public Health from The University of North Carolina at Chapel Hill, and is completing a doctorate in Behavioral Sciences and Health Education at Emory University. He will only go to another Lauryn Hill concert if someone else purchases the tickets for him.